Published on April 3, 2010 by Wade Shepard Follow me on Twitter here. FINCA TATIN, Guatemala- Before leaving the USA I provisioned myself with a Verizon Blackberry with a global data plan. With this device, I can go to just about any country in the world and expect to have access to the internet. I pay in full for this service — $65 a month — but each time I am able to blog from a hotel room where I would otherwise need to go out and find an internet cafe, or stay in an out of the way location longer because the Blackberry can access the internet, the price that I pay feels worth it. The Verizon global data plan has lengthened my tether. I can now travel a little farther, and stay there a little longer. Since leaving Antigua around a week and a half ago I have been publishing exclusively through the Blackberry. I write the travelogue entries on my laptop, send them over to the Blackberry along with photos, and then publish them through a special WordPress application. I have spent the past four days at the Finca Tatin on the Rio Dulce in the east of Guatemala. There is no WIFI here, no internet connections, but there is cell coverage, and I can blog as usual. I can browse the internet, answer emails, do background research for blog posts, and publish. I cannot do everything that I want through the Blackberry — it is not really possible to edit code — but I can blog, and this means that I can keep the wolves of obligation at bay, do my job, and enjoy the jungle. I feel compelled to publish on this travelogue daily, I call it a daily travel column, and the Blackberry allows me to do so while going to the places where I wish to go, without being perpetually harnessed to the internet cafes and WIFI signals. I can again get slightly farther off the map, and into the places that I am traveling in. One of the major downsides to running this website has always been that it had the effect of hemming in my travels: I can go out into no man’s land, but I can’t stay for too long. I want to publish daily, or at least almost daily, and I can’t do this without access to the internet every single day. Every traveler serious about blogging knows what a shear face plant in the mud it is to be sitting around in internet cafes all day long when you could otherwise be out meeting people, checking out new places — exploring — traveling. The Verizon Global Data plan has not worked 100% perfectly, 100% of the time. These devices with global access are in their infancy. In some areas with otherwise widespread cell coverage, such as in Antigua or the north of the Dominican Republic, I found it very difficult to get a signal. But the device worked wonderfully in Haiti, on the western borderlands of the Dominican Republic, and in the east of Guatemala. As I sit and write this travelogue entry from the jungle of Guatemala — a place with no road access — I do so with relief of a man who knows that he subverted a lengthy task and has made life a little easier: I can sit back in the jungle and publish without needing to travel a half hour by boat to the nearest town with internet. I feel relieved that the Blackberry at least works most of the time. I am now able to alternate cell connections with easy access WIFI to, hopefully, add to this internet publishing mission a sense of a little more urgency and professionalism. I am trying to make a life off of this website while living a life of travel. Having two options to get online allows me to better blend these two objectives. I am sitting outside under a little thatch roof over a picnic table, lizards are running by, sometimes I see snakes, there are only plants, trees, leaves, and moss all around me, and I am able to publish travelogue entries. My tether is a little longer, I can now work from the jungle, I no longer need to hover near to internet cafes like a moth before a night light, I no longer need to make camp around a good WIFI connections, I can travel a little farther, further, freer. Wade, love the post. I’ll be sending this to my wife. My wife, dog and I traveled across the US last summer and she had your set-up. As I was driving, she could watch her “Soaps”. This technology is too cool. What I love about this Wade, is that the bar just keeps getting raised. That you can be in the backwoods of Guatemala, write a post with pictures for the world to see, is incredible. Really appreciate this, it made me real happy. But a lot of time saved looking for them, traveling to them, finding ones that allow for laptop hookups, the hassle of HAVING to go to certain places, paying more for hotels with WIFI . . . Though it is a lot of money, paid for by selling the car that was gifted to us for our wedding haha. The Travelvice family should come meet us in El Salvador! …looking forward to getting back into Central America at some point, though. Well, maybe we will find you in Peru. So the Blackberyy works as a modem, right? I will soon answer your previous questions here, but for now just respond to this one. No, the Blackberry in no way functions as a modem internationally. I cannot tether it to my computer. I was told that this service could be had in the USA, but that it requires additional procedures. I must write everything on my laptop, send the files over to the Blackberry, open them, and then publish. I cannot access the internet on my laptop through the Blackberry connection. This comment was posted by a reader named Andu on another entry, and was moved here because it is more on topic. I have asked Andy Hobo the following, but I did not make sense of his answer. I dare ask you too, since I have hard times understanding what you get for this Verizon Global data plan. 1. The ability to check pop3 email from your accounts (how many?). Do you use the phone as a modem in this case, so your pop3 emails can be accessed through computer or rather as a receiver, which you later synchronize with your PC through a standard phone option. 2. Can you use the phone as modem for your computer to access www internet – which means to reach html pages, google, wikipedia etc. I understand not. 3. What other internet related things can you do through this verizon global data plan. Can you read RSS? No, the Blackberry with Global data plan cannot really be used as a modem, at least not outside of the USA. 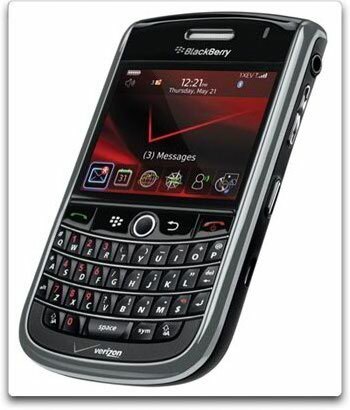 You need to do all internet browsing on the Blackberry, it cannot be done on a computer while tethered to the Blackberry. The Global Data Plan is an add on option to a regular Verizon voice plan. If you have an existing plan with Verizon then it will cost 65 USD a month. If you don’t have a Verizon plan, you need to get one, which costs at minimum 40 USD a month. So in total, to get the Verizon Global Data Plan with a voice plan the total is 100 USD a month. We have our Blackberry on my Wife’s family plan, so we only pay 65 USD a month to cover the additional cost. With the Blackberry Global Data plan you can fully browse the internet and do just about everything you would normally do on a computer. The only probably is that some websites are not equipped for mobile browsing, but I have found that I can get on around 99 percent of the internet — although some pages display a little awkwardly. The global data plan is unlimited, so my internet time is not clocked, so for 65 USD a moth for this add on I can access the internet as much as I want. do you ever use the “schedule post” function on wordpress? That’s another way to get regular daily posts when you won’t have internet access. Write a bunch of posts, then schedule them to publish once a day. I use to use this often. The scheduled post function is good for spreading the posts out, or for covering days where I know that I will probably not have internet access, though I like the option of being able to be out of reach of WIFI for extended periods of time and still have internet.